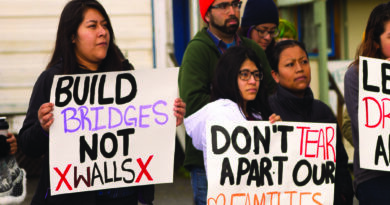 Over the years since 2008, when about 10% of the student body identified as Latinx, Humboldt State University has seen a steady rise of enrolled Latinx students. And according to the data from the Office of Institutional Effectiveness (OIE), as of Oct. 31, 2018, with 2,653 or roughly 34% of students identifying as Latinx at HSU, faculty of color has stayed comparatively low. Provost and Vice President of Academic Affairs, Alexander Enyedi, said the institution is prioritizing diversity and inclusion. Faculty is defined by two categories: tenure track and lecturer. 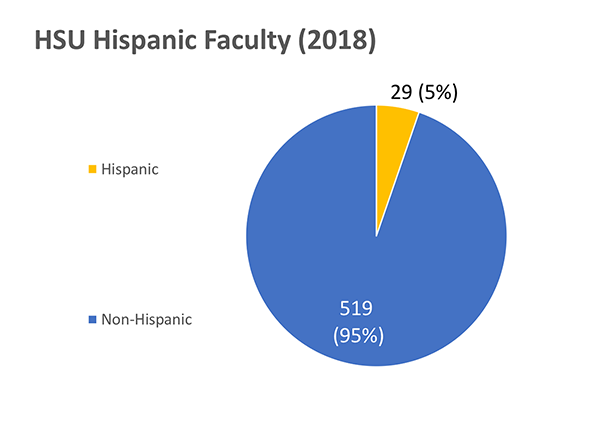 In total, there are 548 faculty as of 2018 – of those only 29, or 5%, are Latinx. The 29 Latinx faculty comsists of eight female lecturers and eight female tenured while there are nine male lecturers and four male tenured. 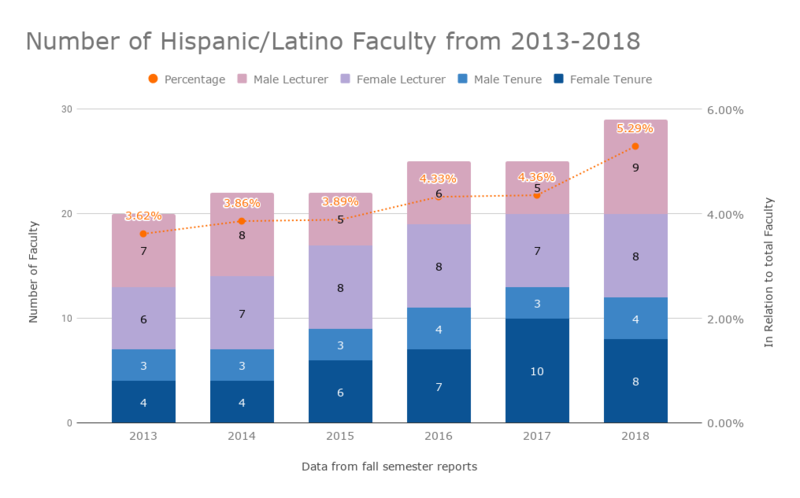 The data collected by OIE from 2013-2018 shows an overall increase of Latinx faculty. Male lecturers increased from seven to nine and male tenured increased from three to four. Female tenured increased from four to eight and female lecturers increased fromsix to eight. 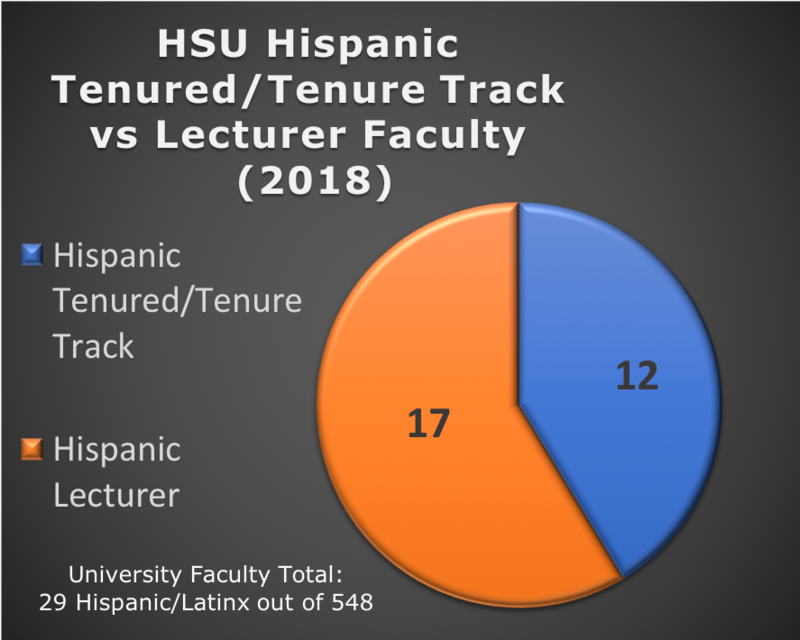 But the amount of Latinx tenured and lecturers increase and decrease between a range of one-to-three faculty per year. Director of Office of Diversity, Equity, and Inclusion (ODEI), Dr. Cheryl Johnson, said that to alter the numbers of faculty of color everybody has to get involved. Associate Director of ODEI, Dr. Edelmira Reynoso,, said their department creates policies that shift HSU in a more equitable way. “We are a hispanic serving institute designated [by the Department of Education], but really we are a MSI which is a minority serving institution or minoritized serving institution,” Johnson said. The California State University (CSU) system is promoting diversity, equity and inclusion through the Graduation Initiative 2025, which is an initiative to increase graduation rates for all CSU students while eliminating opportunity and achievement gaps. Part of the GI 2025 provides grants for CSU’s like HSU, so they can hire more faculty of color. Enyedi said that there are currently 20 search committees. Film major and Associated Students President Jazmin Sandoval said that she is sad and angry at the lack of Latinx faculty. 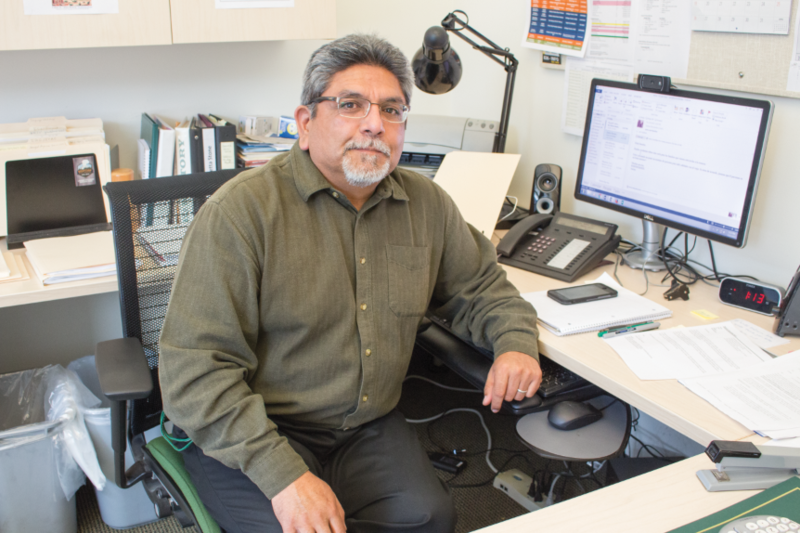 HSU must use one-third of the funding toward new faculty hires, according to Sandoval, who is a member of the Student Success Alliance tasked with leading the GI 2025 funds. 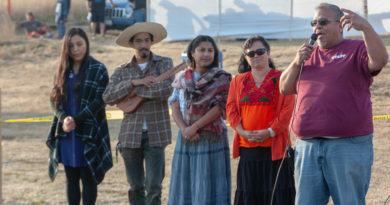 Sandoval transferred from Los Angeles Valley College in the fall 2017 and since then has only had one class taught by a professor of color. Johnson and Reynoso created an equity advocate model, which provides orientation for individuals such as faculty, administration or staff who will then “sit on search committees and observe the process, so that they ensure that implicit biases and inequity don’t slip into the conversations about candidates,” Johnson explained. Data pulled from. “Office of Institutional Effectiveness.” Fall Enrollment | Office of Institutional Effectiveness, 2018, ie.humboldt.edu/node/472. HSI: A Hispanic-Serving Institution is a college or university with an undergraduate full-time equivalent enrollment of at least 25 percent Hispanic students. HISPANIC: A person from – or whose ancestors were from – a Spanish speaking land or culture. TENURE: A tenured appointment is an indefinite academic appointment. LECTURER: A member of a college or university faculty, especially one without tenure.